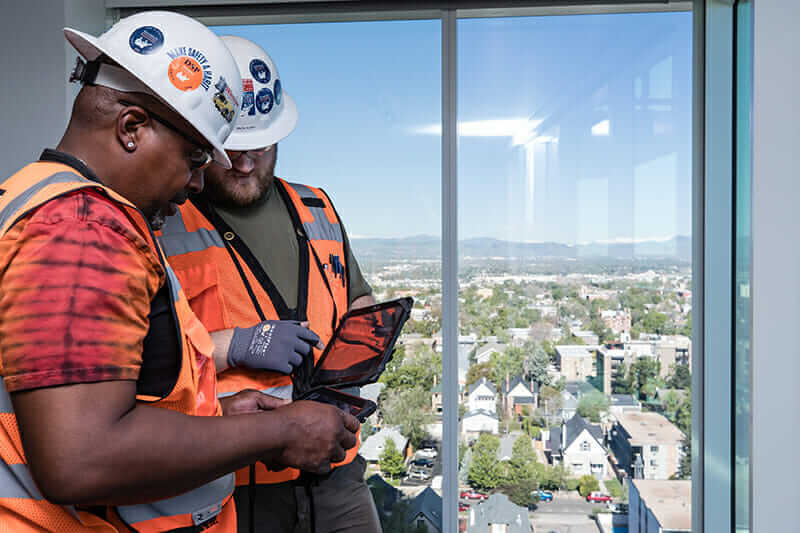 In the fragmented building industry, “every single building is a prototype,” says Dustin Hartsuiker, manager of Technology Solutions for the California-based Swinerton Builders. Devoid of standardization and often assembled from custom-made components, buildings are unforgiving and inefficient experiments in fabrication, given to levels of risk and uncertainty unheard of in the world of product manufacturing. Creating any structural prototype from scratch is bound to be laden with mistakes and false starts. Throughout every large, complex project, construction companies record hundreds of thousands of notes, flagging issues—bolts that aren’t flush with a wall here, the wrong floor covering or missing flashing there. During project management, prioritizing these issues is a manual and slow process. 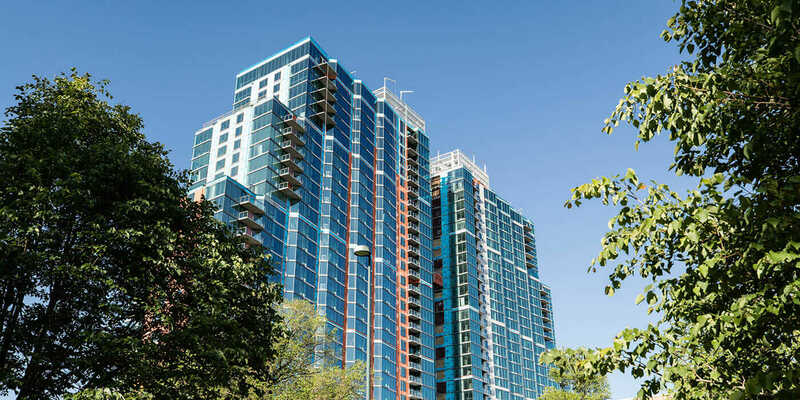 Swinerton Builders applied machine learning to its Country Club Towers project in Denver. Courtesy Swinerton Builders. Machine learning—whereby computers learn to make decisions instead of humans manually programming them—can introduce major time savings in the automation of a prioritization process. This kind of artificial intelligence is dependent on computers having massive troves of data to sort through, which today, the Internet can provide easily. 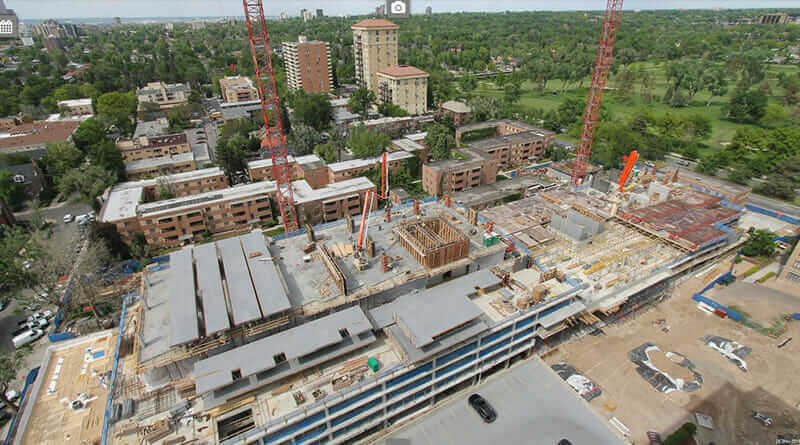 To ease buildings’ often chaotic transition from dream to reality, Swinerton Builders (founded in 1888 by a Swedish immigrant after the Gold Rush) has been piloting an add-on to Autodesk BIM 360 Field, code-named Project IQ, on its Country Club Towers project in Denver. 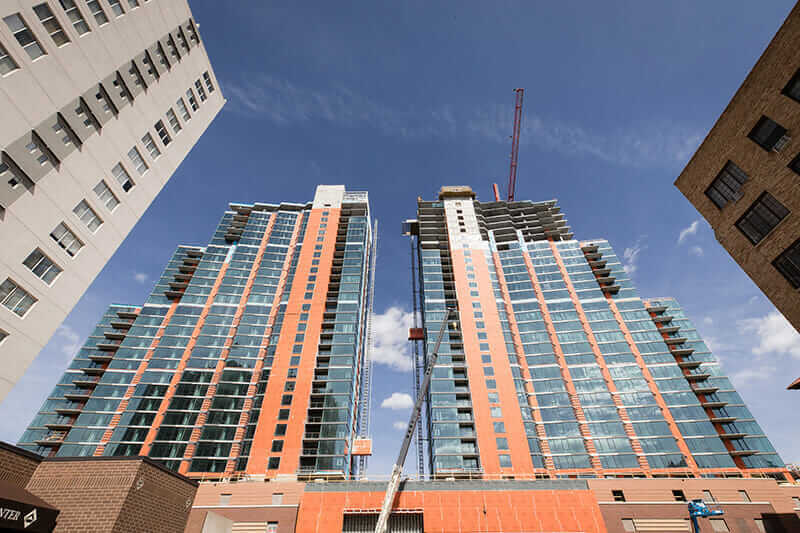 Project IQ uses machine learning to automatically identify construction quality and safety issues that pose the biggest risk to a project at any given time. That enables teams to act quickly, prevent catastrophes, and avoid downstream problems that create cost issues and schedule delays. On a building site, the factor that determines success or failure is not the sheer number of issues a project faces, but the kinds of issues, and how they’re prioritized. Fixing a sloppy paint job is a must before the tenant moves in. But it’s a far lower priority than remedying improperly installed window flashing that might allow leaks. Digital construction documentation has given designers and builders unprecedented access to data throughout the construction process. Courtesy Swinerton Builders. Now imagine you have a digital assistant who understands what is happening on a project site and can collect and prioritize the information a team provides through its project-management software. Machine learning used this way allows project managers and superintendents to identify risk in a “proactive manner, rather than a reactive manner,” Hartsuiker says. A simple comparison might be a sophisticated email management system. If you return from vacation to thousands of unread emails, such a system could single out the top 20 that need your attention first. All this aggregate data can identify high-risk subcontractors that need attention. “If they have more issues and other factors that produce higher risk than everybody else, that increases their risk-status a little bit,” Hartsuiker says, explaining that the process essentially penalizes excessive sloppiness with extra attention. Missed deadlines generate higher risk levels, and the system processes the text of reports to identify building systems that inherently pose more risk. “If I have two issues, and one says, ‘Repair the scrape in the water fountain,’ and the other one says, ‘The water may leak into the wall,’ they both say ‘water,’ but the machine learning is getting wise enough to be able to say, ‘Repairing a scrape isn’t a big deal. A leak is a big deal,’” Hartsuiker says. “So it knows that, of those two issues, issue B is more important than issue A, and it helps bubble that up to the top, to where it gets more attention, earlier.” If it’s initially fooled by the presence of water in the former issue, and builders have to de-emphasize the scraped panel manually, the system will learn from this mistake and adjust its algorithm accordingly. Every building is a prototype of sorts, given to risk levels not seen in product manufacturing. Courtesy Swinerton Builders. Project IQ is also applying machine learning to identify high-risk safety behaviors, often through checklists and observations. It looks for “repeat offenders,” subcontractors that make the same mistakes over and over, and flags these with higher risk ratings. But in the future, project managers could apply data to offer both the carrot and the stick. Machine learning can prioritize higher-risk systems, such as waterproofing or structural elements. Courtesy Swinerton Builders. Potential flags include what went wrong, who needs to fix it, and sometimes, how it needs to be fixed. Part of assembling an algorithm baseline—the sets of risk-assessment priorities that the software is based on—was looking at subcontractors who performed particularly well and reverse engineering their work. What qualities do they share that the algorithm can look for in other subcontractors? When these qualities are located, they can be used to adjust risk and urgency levels accordingly. 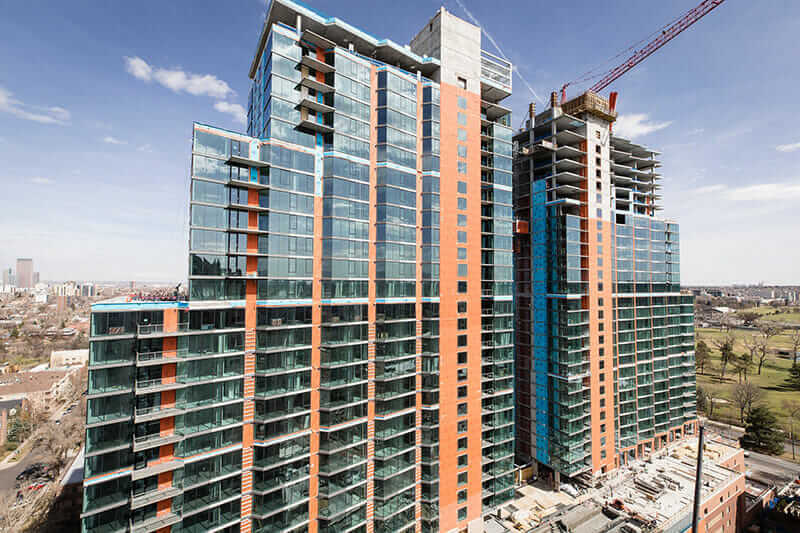 Digital construction documentation has given designers and builders unheralded access to data and information across the construction process. But the next step is to edit this fire hose of data down into a finger-swipe’s worth of information. If builders have a reliable tool to sort through this noise, they’ll be able to see the next problem coming—perhaps with the simplicity and clarity of checking the weather on their smartphones.